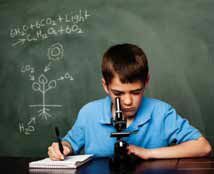 A report released by the National Research Council presents a new framework for K-12 science education that identifies the key scientific ideas and practices all students should learn by the end of high school. The framework will serve as the foundation for new K-12 science education standards, to replace those issued more than a decade ago. The new framework emphasizes the practices of science— helping students learn to plan and carry out investigations, for example— and to engage in argumentation from evidence. The framework is the first step in the development of new K-12 science education standards. The framework lays out the broad ideas and practices students should learn and will serve as the basis for specific standards, which will be developed in a process led by a group of states and coordinated by the nonprofit educational organization Achieve, Inc. When the standards are finished, states may voluntarily adopt them to guide science education in their public schools.